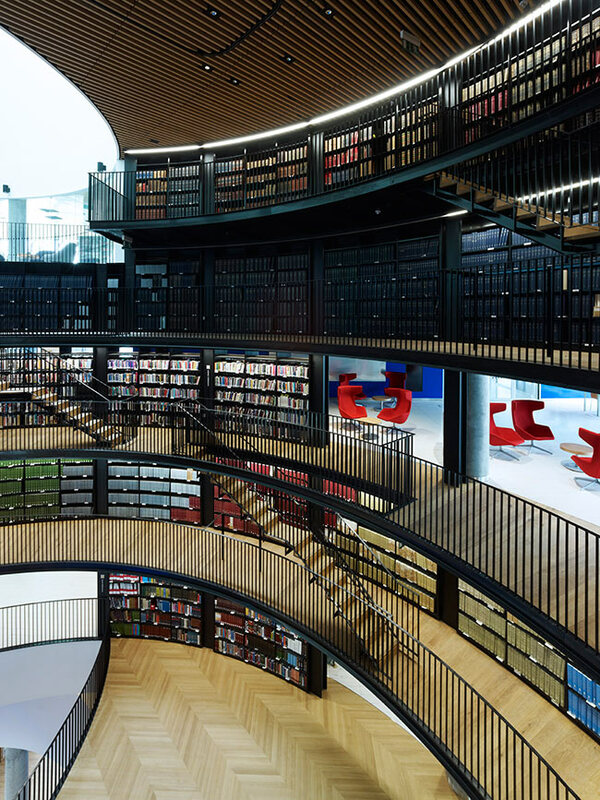 Dutch firm Mecanoo’s latest civic building represents a new era in library design. 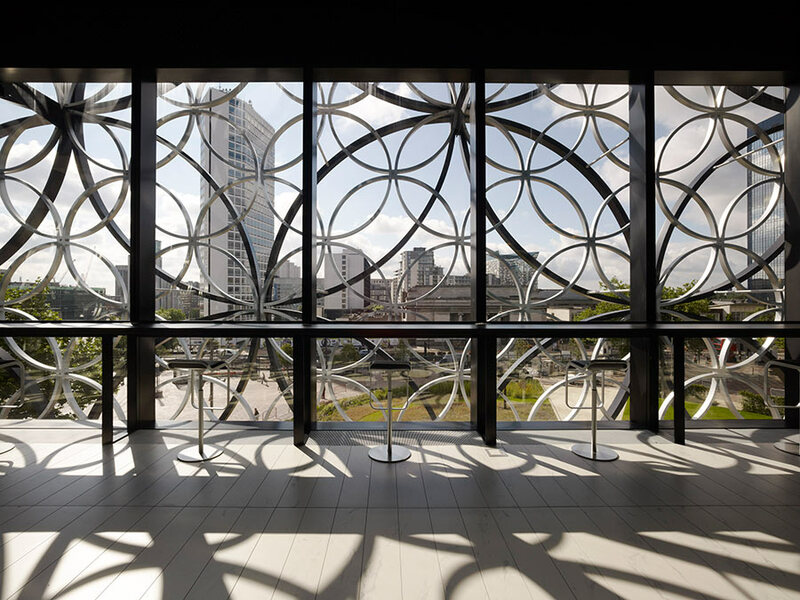 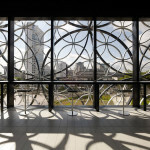 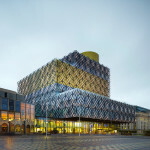 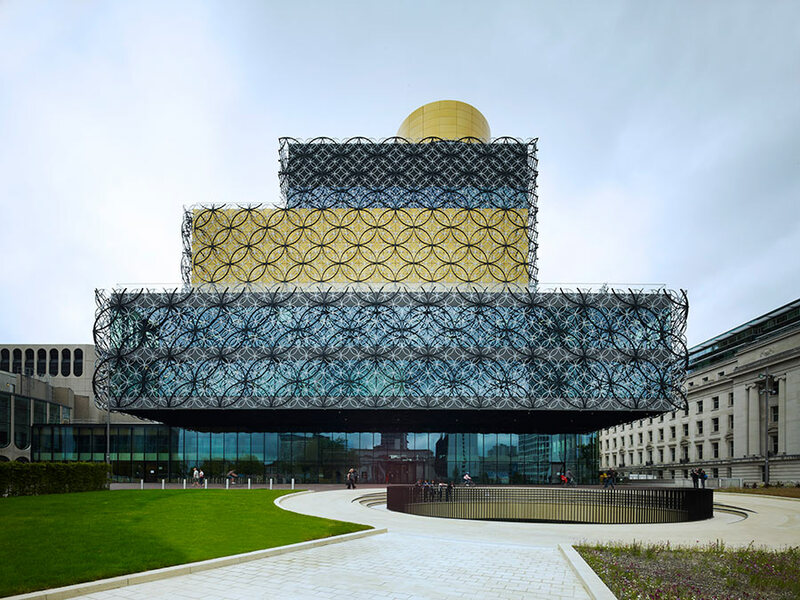 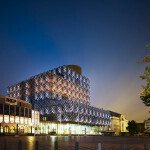 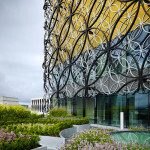 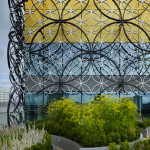 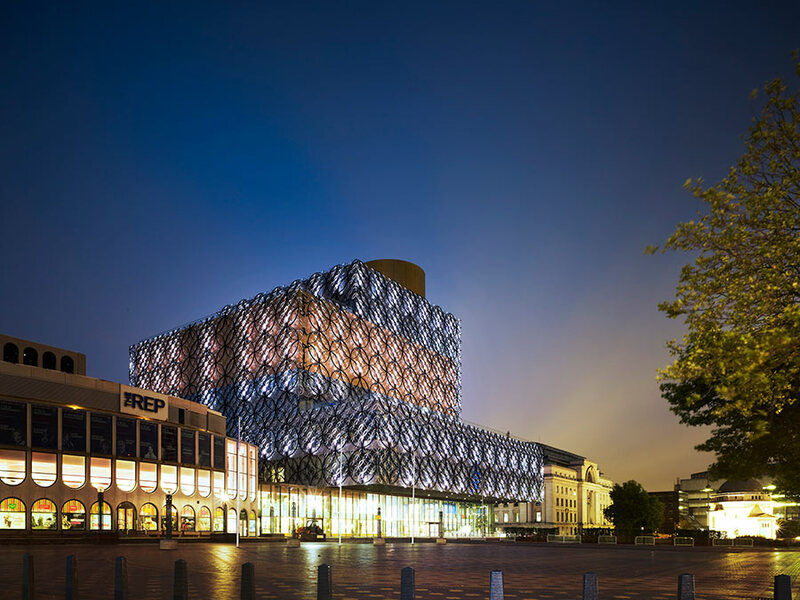 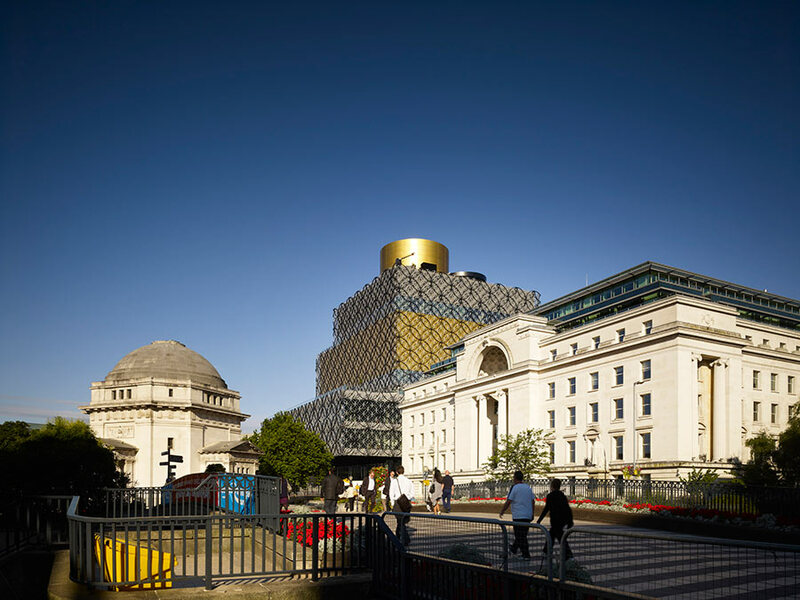 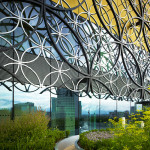 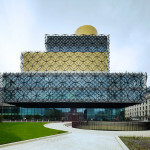 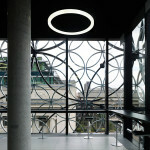 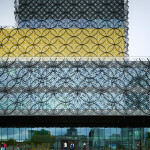 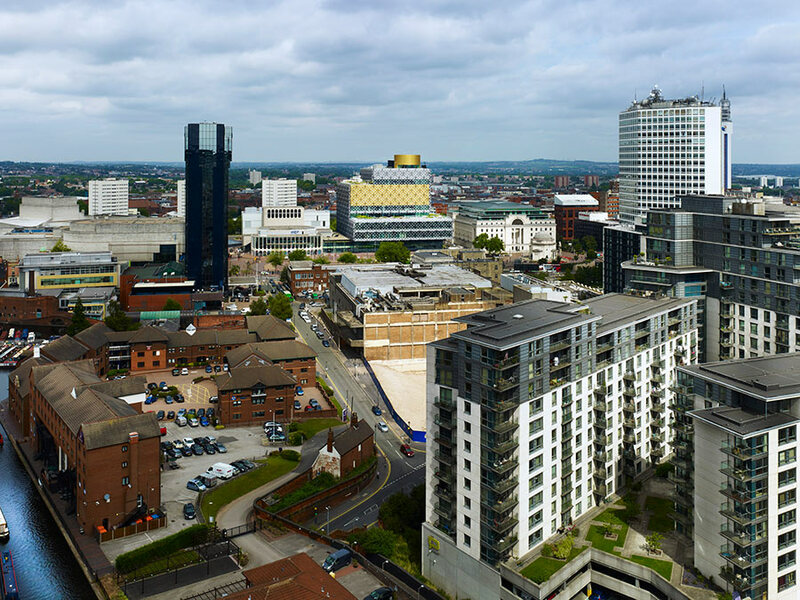 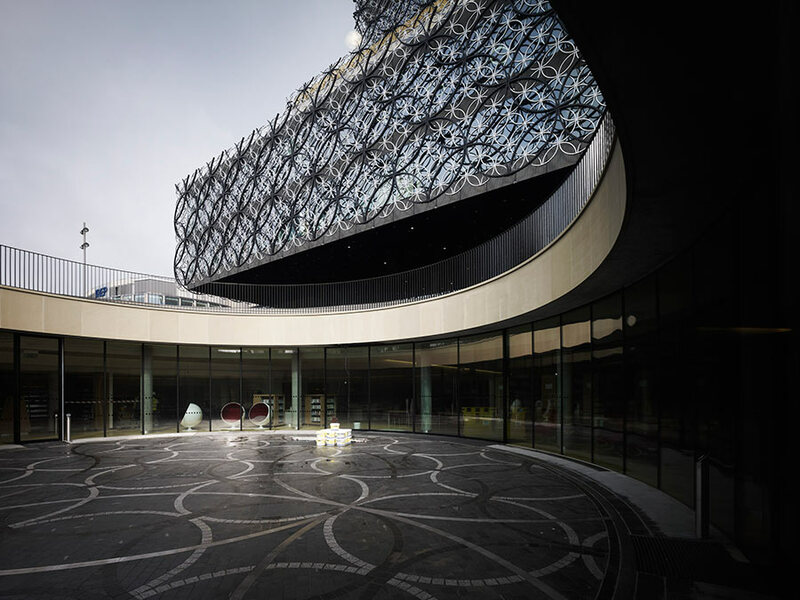 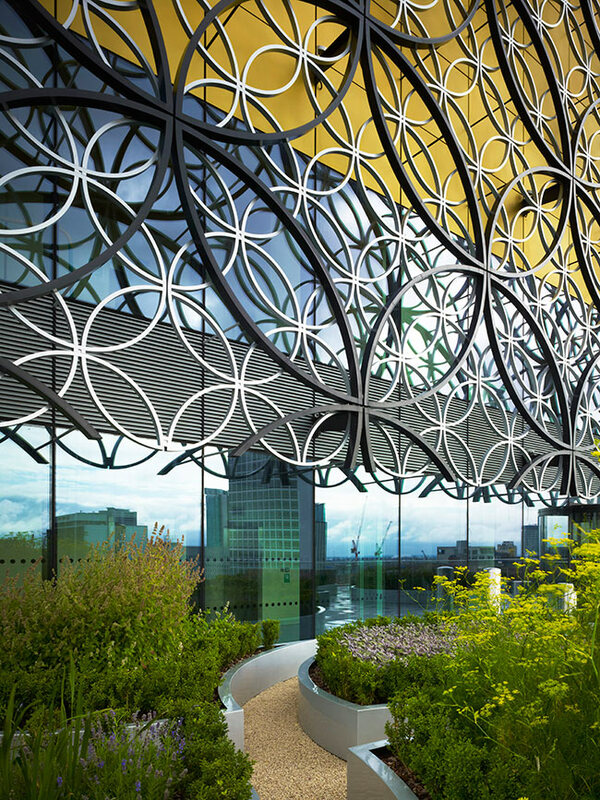 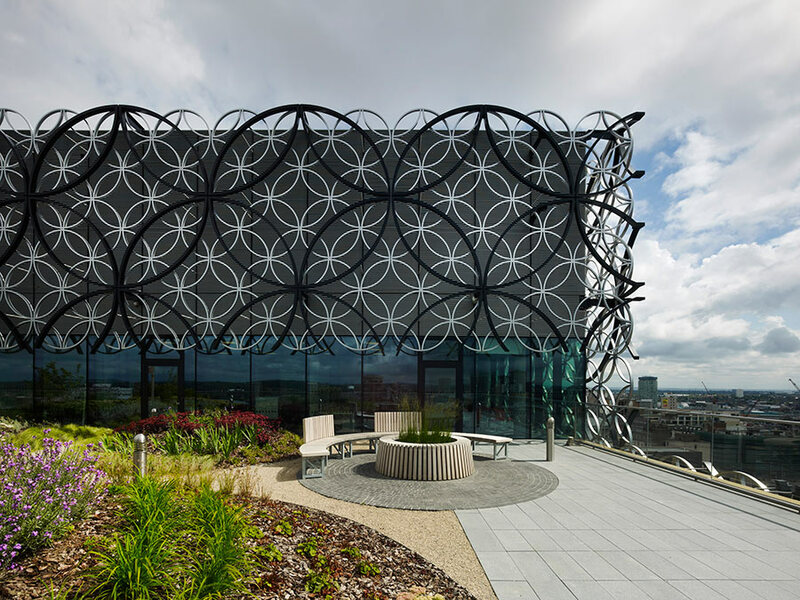 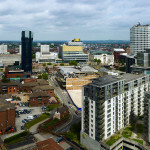 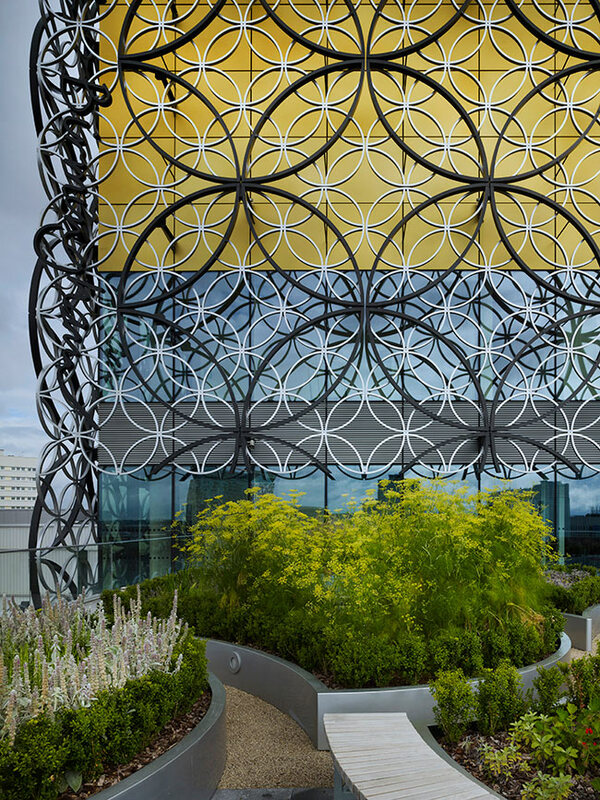 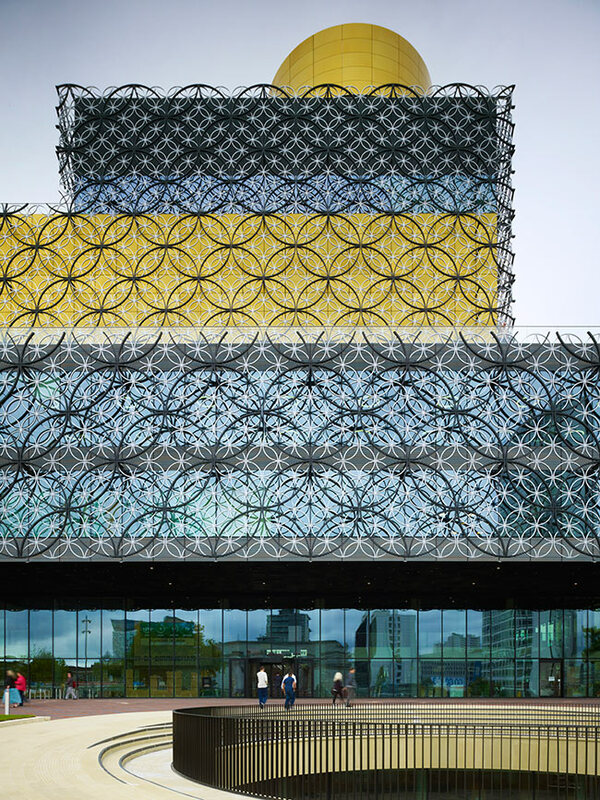 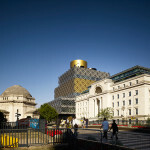 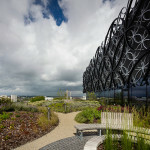 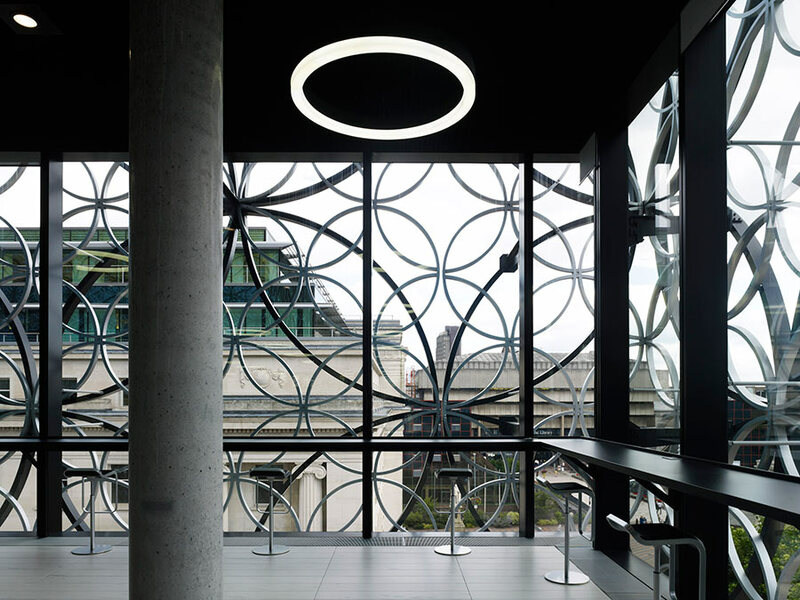 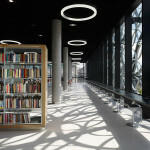 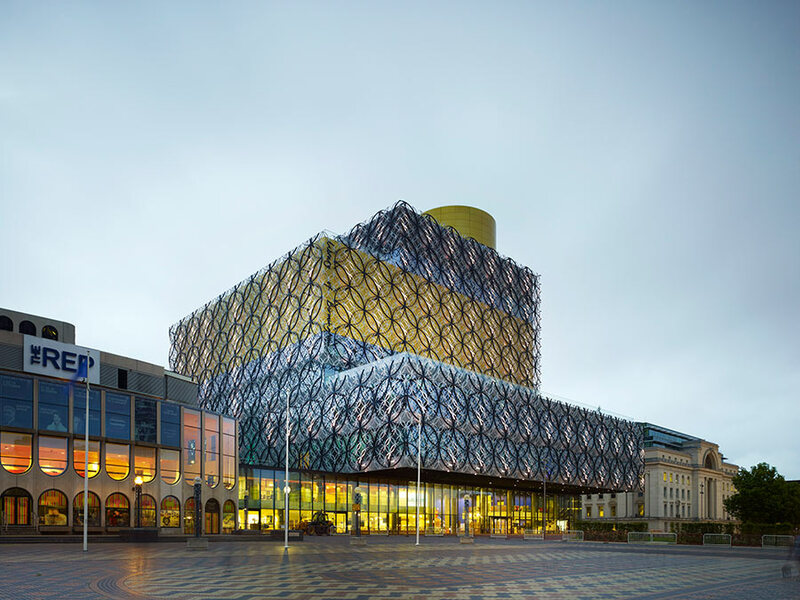 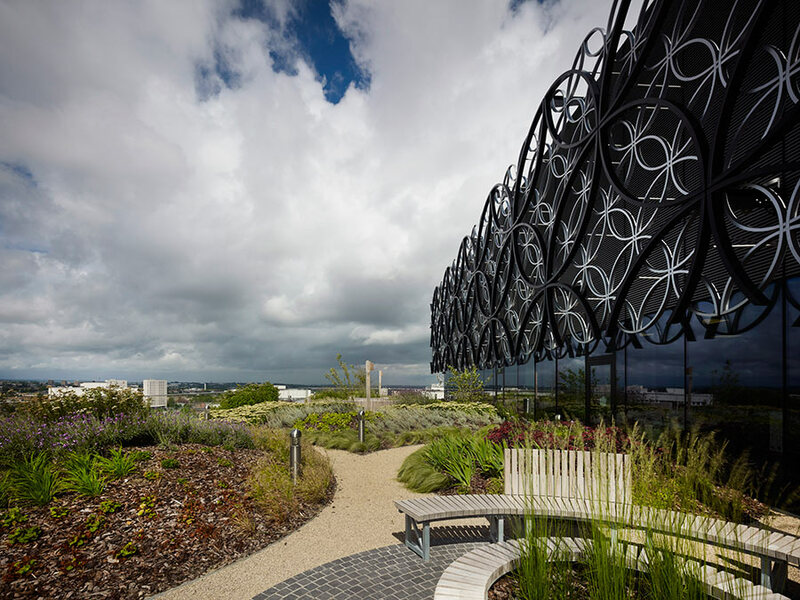 The new Library of Birmingham in the UK replaces the former James Hardin–designed central library, a brutalist concrete structure. 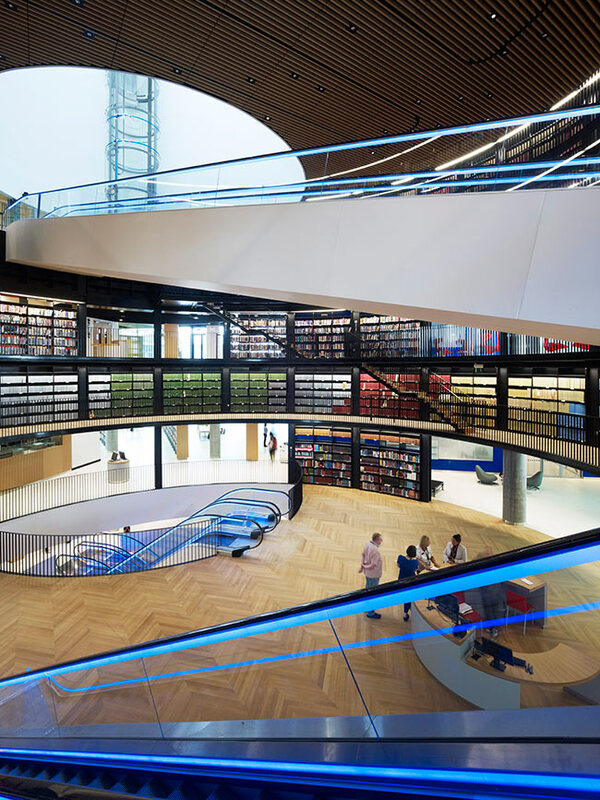 The new library is a sleek expression of the evolving nature of education and learning in the 21st century. 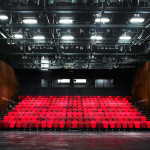 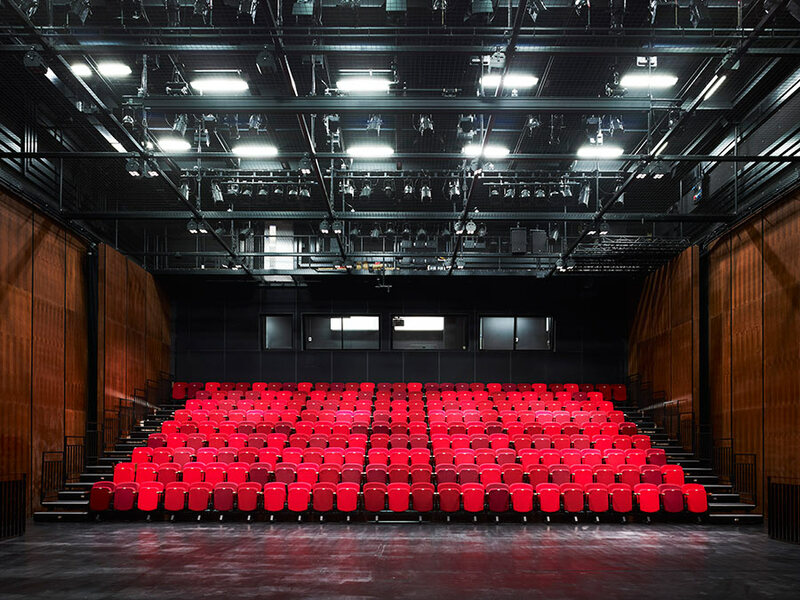 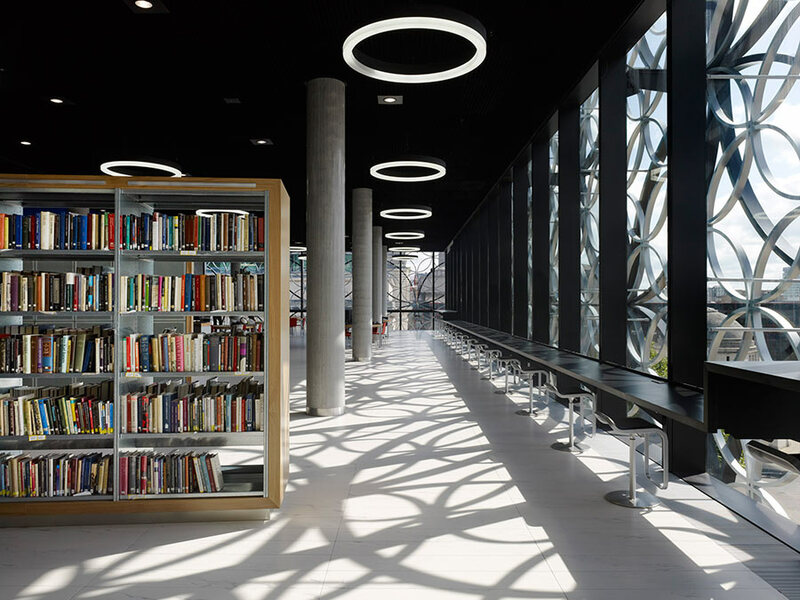 The modern, metal-clad structure houses a variety of services, including a multimedia center, two cafés, a music library, a performance space, green outdoor terraces, a shop and a gallery. 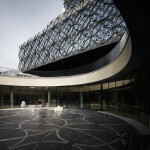 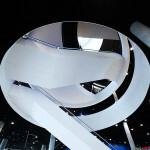 The design vision is that the space will offer culture and entertainment, as well as learning and information. 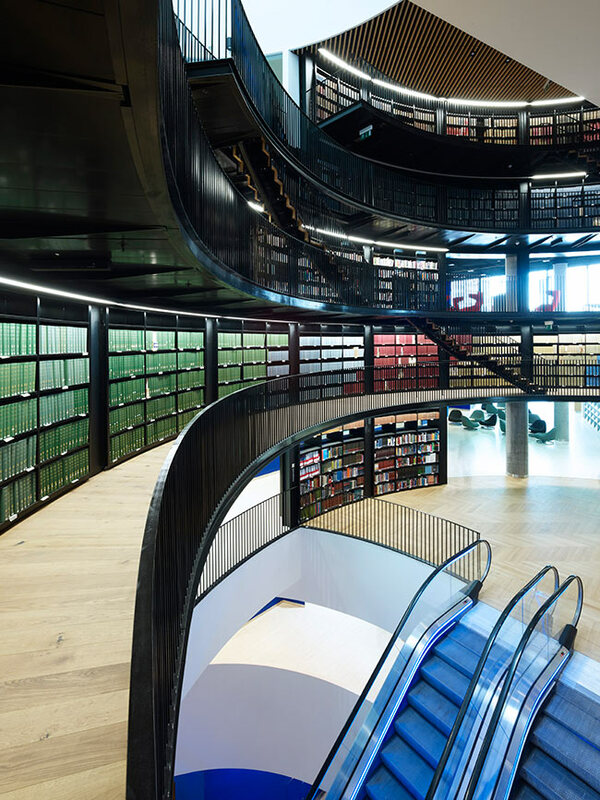 The library’s director, Brian Gambles, told the Guardian that libraries must be relevant to the community, and that the way people learn and use libraries, is changing. 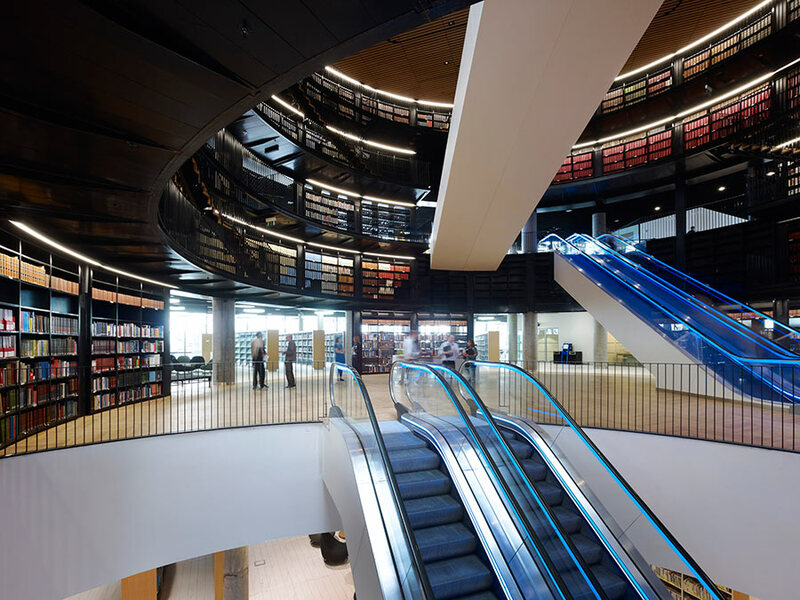 The building comprises of a stack of four rectangular volumes for a total of 10 stories and penetrated by a central void. 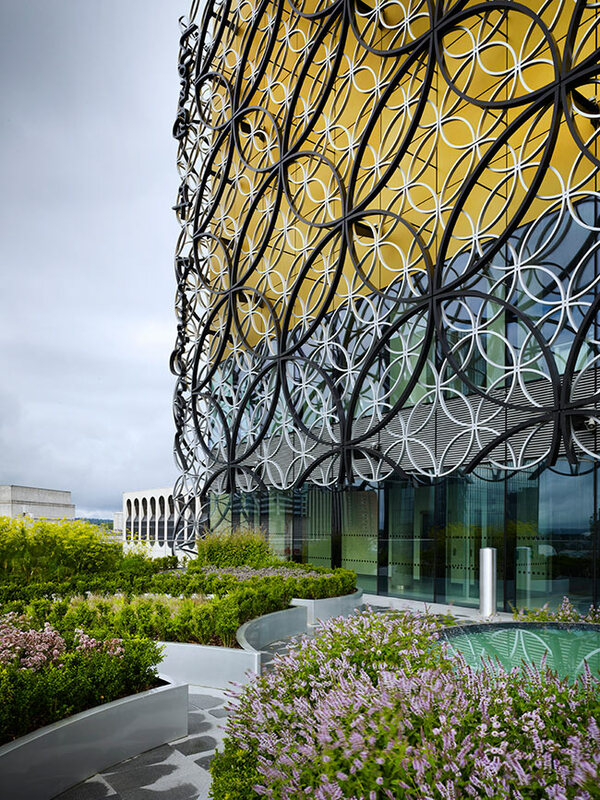 Each rectangular volume is staggered to create various canopies and landscaped terraces. 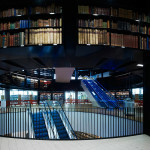 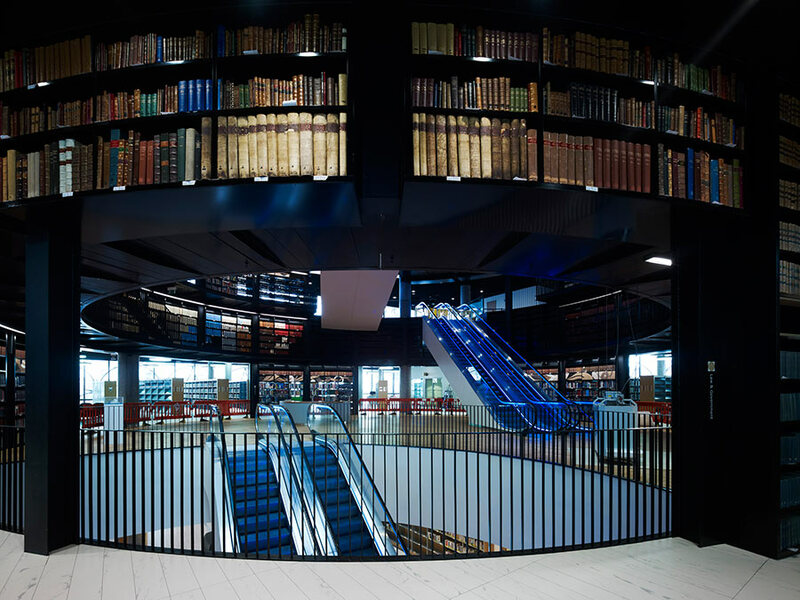 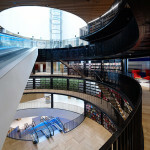 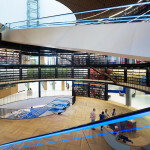 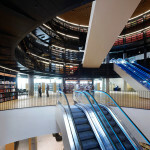 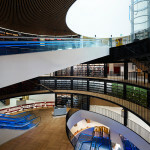 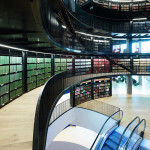 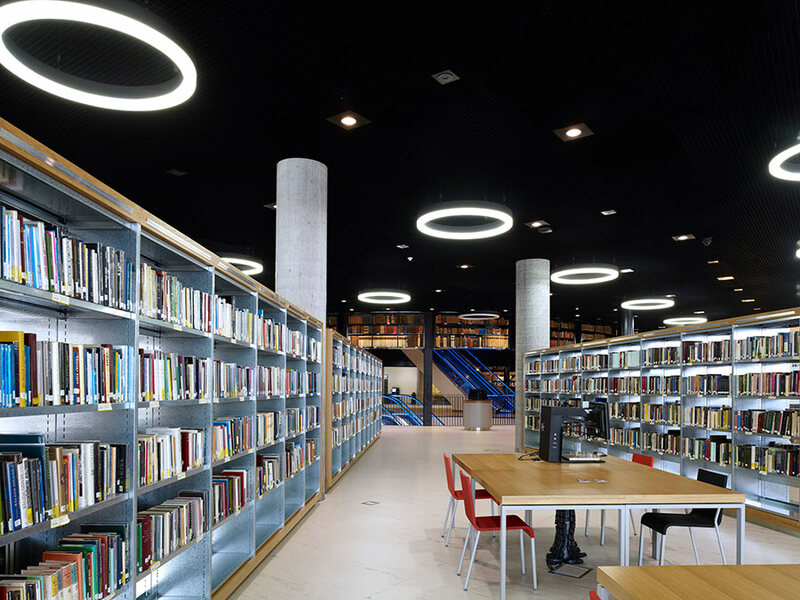 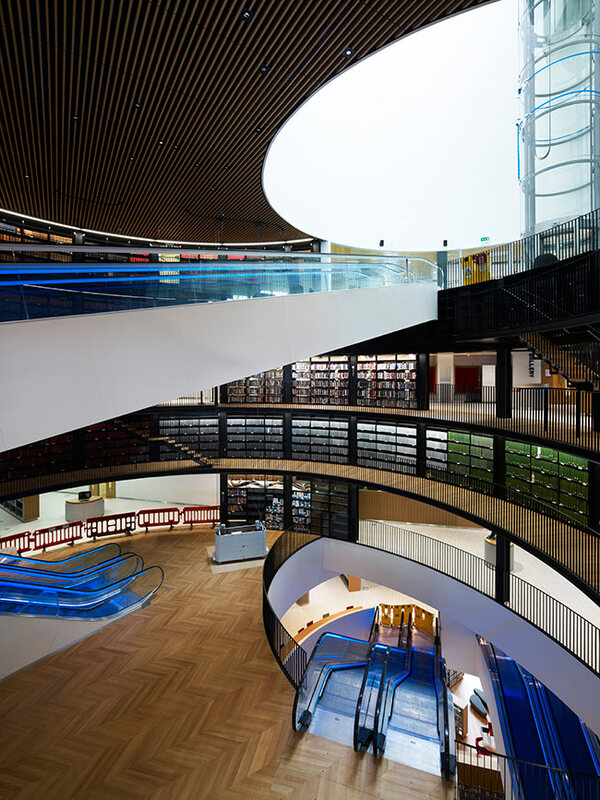 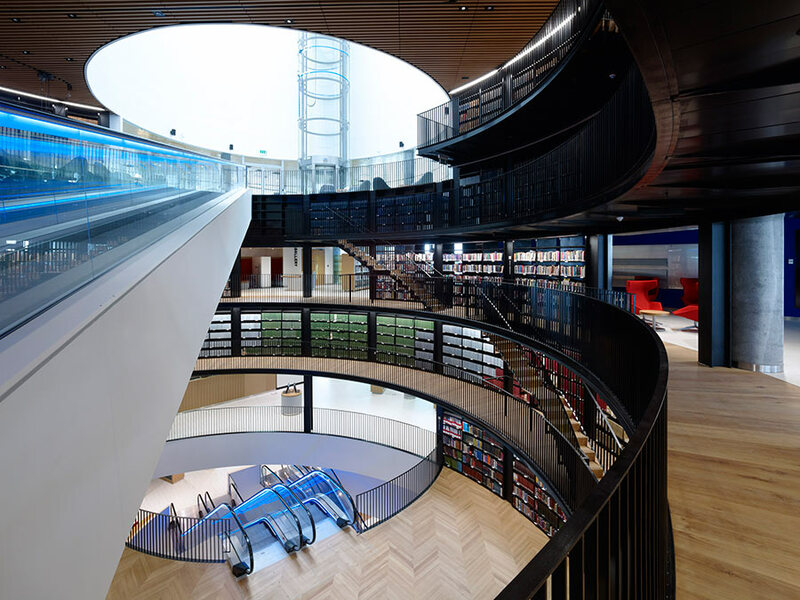 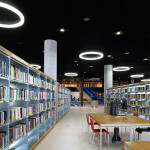 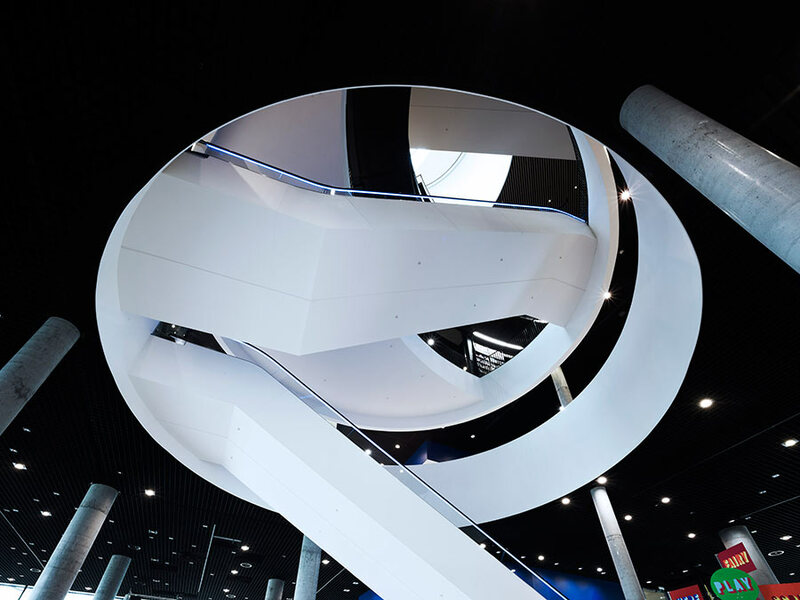 The expansive, open-plan floors are connected with weaving flights of escalators, which ascend from the library terraces, up through floating rings of bookshelves, to the light-flooded atrium above. 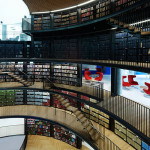 All photos by Christian Richters.